Preheat your oven to 325°F. Grease a loaf pan this is no extra than 9-inches by 5-inches, and set it apart. 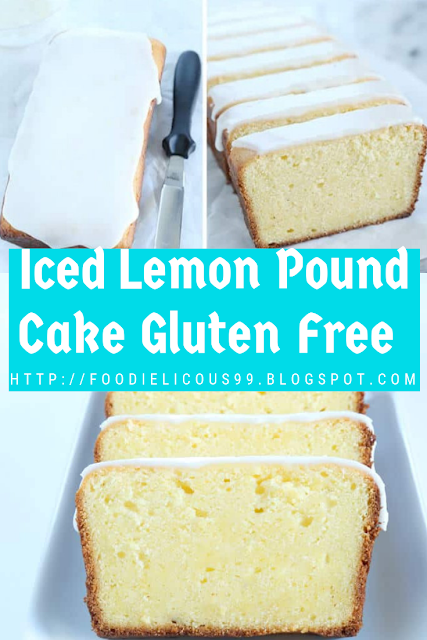 In a small bowl, combine the flour, xanthan gum, cornstarch, salt and approximately 3/four of the lemon zest, and whisk to combine well, running to interrupt up any clumps of lemon zest. Set the bowl aside. Make the pound cake batter. In the bowl of your stand mixer geared up with the paddle attachment (or in a big bowl with a hand mixer), vicinity the butter and cream cheese and beat on medium-excessive velocity till mild and fluffy (approximately five minutes). Add the granulated sugar and blend to mix. Add the eggs and lemon juice, blending properly after each addition till the aggregate is smooth. Add the flour mixture in three parts, beating properly to mix after every addition. The batter might be smooth and thick, but incredibly light. Scrape the batter into the organized loaf pan, and smooth the top with a wet spatula. Place the loaf pan inside the middle of the preheated oven and bake until a tester inserted inside the center of the pound cake comes out smooth (approximately 50 mins). If the loaf starts offevolved to brown too much, cowl it tightly with a bit of aluminum foil. Remove the pound cake from the oven and permit it to chill inside the pan for 15 minutes earlier than moving it to a twine rack to cool absolutely. Make the glaze & assemble the cake. Once the pound cake is almost cool, make the glaze. In a small bowl, place the confectioner’s sugar, salt, and the ultimate lemon zest, and whisk to mix and to break up any lumps within the confectioner’s sugar or the lemon zest. Add the lemon juice, 1 teaspoon at a time, and blend properly. Continue to feature lemon juice via the teaspoon, stirring in among additions, until the glaze is thickly pourable. Pour the glaze over the cooled pound cake, and allow to set at room temperature. Slice and serve.